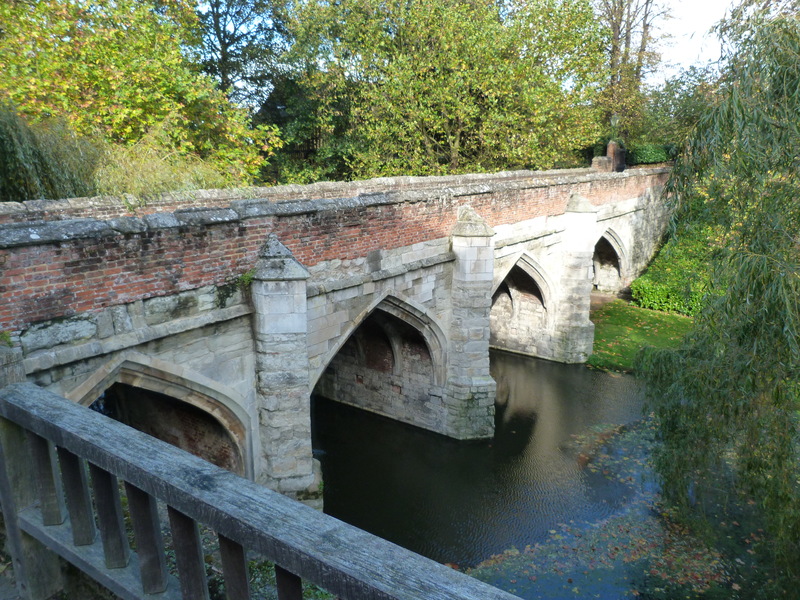 Eltham Palace began life as a moated manor house built by the Bishop of Durham in the late thirteenth century, sometime around 1295. Shortly afterwards, in 1305, it was acquired by the then future King Edward II, and thereafter became a royal palace, lived in or at least visited by a succession of Plantagenet, Tudor and early Stuart monarchs, and much extended by various of them, notably by Edward IV, who added a Great Hall in 1470. It began to decline after Greenwich and Hampton Court Palaces were completed in the sixteenth century, by the beginning of the seventeenth being “farre in decay”, and by the end of the Civil War, as John Evelyn put it, “in miserable ruins, … destroyed by [Parliamentarian Colonel Nathaniel] Rich the Rebel”. What was left of it was then put to use as a farm in the eighteenth century, eventually falling into such a state of disrepair by the early twentieth that most of it had to be demolished. In 1933 the site was bought up by Stephen and Virginia Courtauld, who had made a fortune out of the manufacture of artificial or art silk (or rayon), and who commissioned the architects Seely and Paget to build adjoining the salvaged and restored Great Hall a luxuriously appointed Art Deco home for them, and for their pet ring-tailed lemur Mah-Jongg – who it appears had the unfortunate habit of biting their well-heeled guests! The Courtaulds moved out, to a 24000-acre estate in Argyllshire, in 1944, whereupon the Royal Army Educational Corps moved in. English Heritage acquired the property in 1995, and completed a major programme of repairs and restorations on the 1930s house and gardens in 1999. The house and gardens are now open to the public, although unfortunately no photography is allowed inside the house (or Great Hall). 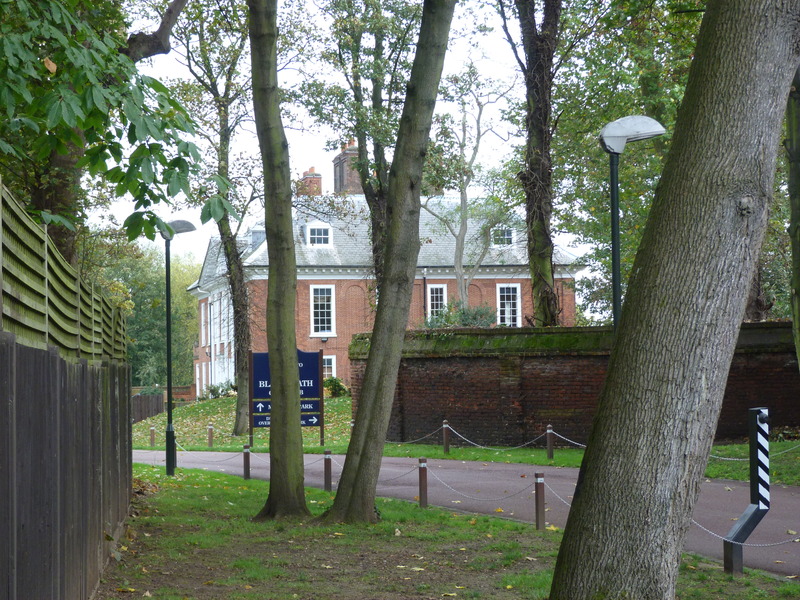 A little further afield, although still within the former grounds, lies Eltham Lodge, originally built for one of Charles II’s supporters, Sir John Shaw, in 1664, and currently the clubhouse of the Royal Blackheath Golf Club. And a mile or so to the north, on the opposite side of Eltham High Street, and in the picturesque recreated “Well Hall Pleasaunce”, lies a Tudor Barn of 1568, now a restaurant. This entry was posted in Far flung London on May 23, 2015 by Bob Jones - The Lost City of London. What an interesting collection of buildings. Thank you for sharing.